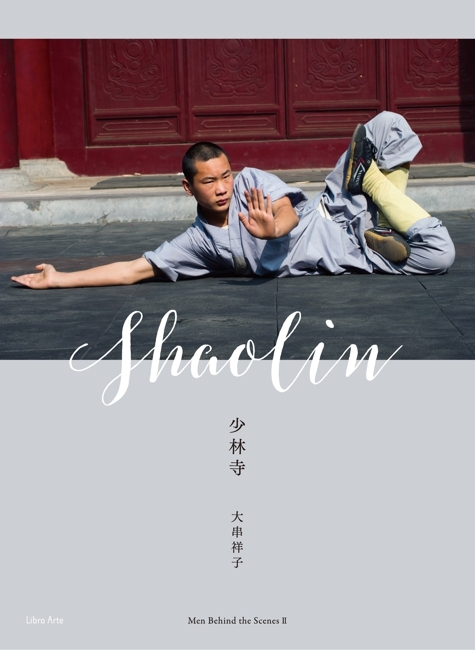 Shoko Ogushi Photobook "Shaolin Temple Men Behind the Scenes II"
Shoko Ogushi was born in Saga, Japan. After working as a copywriter for Dentsu Inc., a Japanese advertising company, she gained a postgraduate diploma in photojournalism from the London College of Printing and Distributive Trades (now renamed the London College of Communication) in 1998. Whilst at college, she started her life's work: “Adonis’ Forest: Men Behind the Scenes.” This project involves photographing the specific male world, where you can see order, uniforms, ranks and absurdity, including Eton College in England, Conscription in Germany and a Counter-guerrilla battalion in Colombia, pursuing the aesthetic beauty and enigma of men from a female viewpoint. She worked on the modern pentathlon from 2004 to 2011 for seven years and travelled to the Beijing Olympics in 2008 as the official photographer of Union Internationale de Pentathlon Moderne. Her first photography book: “Modern Pentathlon” was published by Ralf-Hellriegel Verlag, Germany in 2009 . 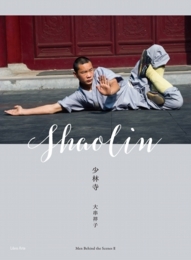 Chapter two of "Men Behind the Scenes", about Asian male society, was launched in the Shaolin Temple in China, in the autumn of 2011. Her second photography book: "Men Behind the Scenes", covering chapter one about European male society, will be published in November 2014.